Looking for more structured learning? The MCH Navigator has developed MCH Bundles, trainings on key MCH and leadership topics, Training Spotlights, in-depth portals to trainings on specific issues of importance to public health professionals, and Training Briefs, short lists of learning opportunities on MCH topics. These learning opportunities have been compiled by MCH Navigator staff and have been reviewed by MCH professionals in the field, public health academics, and health educators. These bundles provide building blocks critical to an overall orientation to the field of MCH. Those who are newly entering the field may find it most helpful to tap into at least one learning resource for each of the six areas. These bundles provide an orientation to MCH for different audiences defined by role or type of organization. Select the category that best describes your position to start your learning: for new hires; for mid-level to senior staff; for local health departments; and for community, advisory groups. This bundle contains tailored learning opportunities on the leading conceptual models utilized in the field of MCH. Participants will learn the importance of Life Course and Social Determinants Frameworks, Behavior Change theories and other models with respect to the field of MCH. This bundle provides learning opportunities to help navigate the 5 steps to program planning: assessment, program planning, program implementation, program evaluation, and policy development and analysis. This bundle familiarizes MCH professionals with concepts and practical skills for developing communication strategies. 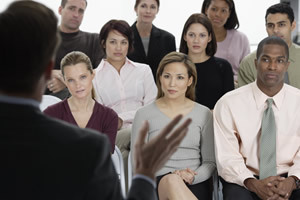 Learning opportunities include courses for written and verbal communication such as scientific, grant and translational writing along with public speaking and best practices for presenting data. This Bundle also explores the use of new technologies such as text messaging and social media to communicate health messages. This bundle offers learning opportunities related to the field of epidemiology and includes trainings for those new to the topic as well as seasoned MCH professionals. This Bundle covers the principles and methods of epidemilogic investigation including describing the patterns of illness in populations and research designs for investigating the etiology of disease. This bundle highlights the six steps of the CDC Framework for Program Evaluation, identifies learning opportunities for further study, and provides access to an Evaluation Toolkit to assist users in finding examples and instructions for conducting evaluations. This bundle assists MCH professionals with goal development, advancement strategies, personal and professional skills, and public health ethics. Participants are given ideas, frameworks, and tools on how to become better leaders, handle conflict negotiation and apply strategies for both leading and responding to organizational change. This bundle provides courses to equip MCH professionals with the skills and knowledge to acquire and sustain management roles in public health. Topics covered include fiscal, grants and personnel management, systems thinking and how to apply the Public Health planning cycle. This spotlight provides learning opportunities that have been organized by a crosswalk of the Bright Futures' Topic Areas for Adolescents and the National Network of State Adolescent Coordinators Topic Areas. This spotlight provides trainings that address gaps in care that may remain for women and children, particularly CYSHCN, those who live in states that do not expand Medicaid, undocumented immigrants, and refugees. MCH and CYSHCN programs contain similar core public health functions for children and families including resource development, capacity and systems building, and population-based functions such as public information and education, knowledge development, technical assistance to communities as well as provider training. This page contains targeted learning opportunities and resources for professionals who work with CYSHCN and their families. This spotlight provides online trainings and resources for use by the Title V workforce in approaching diversity as a way to address health disparities, health equity, and removing barriers to care. This spotlight supports the MCH community in becoming better acquainted with quality improvement. This spotlight provides links to selected trainings and related tools on the topics of systems integration, integrated services, and systems development. It addresses a priority focus of the National MCH Workforce Development Center. This series of spotlights contain online learning materials, resources, and evidence-based strategies and programs that support the knowledge sets and skills needed to advance each Title V National Performance Measure (NPM).